Questions? Before to have Polarseal Jacket! Skiers, hikers, and trail runners are always searching for extra layers of cloth to keep them warm when working out in cold weather. The searching process should now end because a new product, the Polar Seal heated clothing, has entered the market. The active pullover launched boasts an integrated heating element that will help keep the wearer warm in a cold condition like polar vortex in US. The designer offers it in different cuts for men and women. It resembles the typical quarter-zip athletic top found in outdoor apparel or sports stores. Made of lightweight materials, the product wicks moisture away from the wearer’s body, a feature that makes it suitable for aerobic activities like cycling and running. The thumbholes on both wrists offer an extra level of warmth on colder days. You can use it as a standalone garment or a middle layer. By taking a closer look at the available Polar Seal Shirt reviews, you are also likely to notice that the producer has stitched a set of buttons into the left sleeve’s lower section. The buttons will activate the dual heating zones of this jacket and you can turn them on independently of one another or together. The thermal elements warm up within 10 seconds and provide three different heat levels (104 degrees F on the low setting, 113 degrees F on the medium setting and 122 degrees F on the high setting). The user has to buy a polar seal power bank to power the jacket and depending on the power bank the user selects, the Polar Seal heated shirt can provide warmth for around 8 hours on a single charge. The selected level of warmth and the turned on heating elements will also affect the number of hours the product can provide warmth on a single charge. With its two heating zones, the wearer can activate heating on the upper back, lower back or both at once. That provides them with full control over the heated top. Whether you are hiking on your most favourite trail or you have experienced a sudden temperature change, the Polar Seal jacket will keep you warm whenever you feel chilly. The designer offers three heating levels (the 104 degrees F level, the 113 degrees F level and the 122 degrees F level). Therefore, you can control your comfort level by selecting one of the three Led buttons. You will know your selected heat level regardless of the daytime because the LED lights illuminate properly. To use the jacket, you just need a power bank with a large capacity. The heating takes less than 10 seconds to activate. The producer embeds the heating elements between the two thin dissipation layers that integrate into the top’s fabric. As a result, they are able to produce flexible, breathable and water-resistant wearable that will keep you warm on the coldest day. The producer designs the Polar Seal with shockproof buttons and it is fully operable when wearing gloves. 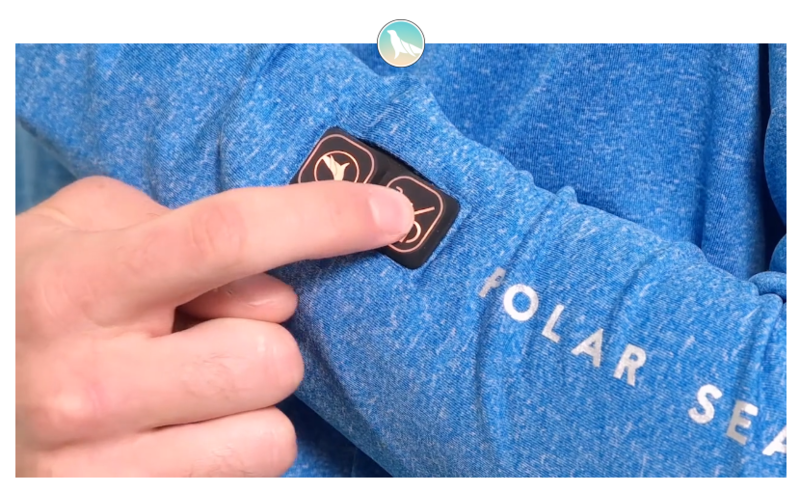 Most Polar Seal reviews claim that you can adjust the top without having to take off any layer. You can adjust the heating level when mid-hike up or when riding on a chairlift. The manufacturer uses 92 percent polyester and 8 percent elastane to make the top. That guarantees comfort, warmth, and flexibility. Q: Which type of power bank should I use? A: For the Power Seal to function, you will require a power bank – available online and in most retail stores. You have to go for the standard USB power banks featuring USB type-A connector, output 5V, 2A and providing more than 5,000mAh power. The size of the pocket is enough to hold a large power bank – with a similar size to that of iPhone 6 Plus. The manufacturer recommends power banks with 10,000-20,000mAh power for the Parka, 10,000mAh for the vest and around 5,000-10,000mAh power for the zip top. For outstanding results, you have to go for a quality power bank, which is UL or CE approved. Such a power bank will cost between US$12 and US$39 and you can easily get one from the online stores or a local consumer electronics store, telephone shop or supermarket. The Polar Seal does not come with a power bank because the users might prefer a different type of power banks. People who spend most of their time outdoor might need a power bank with a large capacity. The lower capacity versions are ideal for people who spend lesser time outdoors. Q: How should I wash the Power Seal? A: The Polar Seal clothing is washable by hand at 86 – 140 degrees F (30 degrees Celsius to 60 degrees Celsius). Before you start the washing, you will have to remove the power bank. Its built-in USB connector features a rubber cap that safeguards the connector from water effects. The manufacturer provides washing instructions in the user manual. For the Vest or Parka to last for many years, you will need to use a wet sponge and a mild detergent to clean them. Q: Does the product come with any warranty? A: The manufacturer offers a one-year warranty on the workmanship and components of the heating elements. If they stop functioning or break within the 12 months, the manufacturer will determine whether the elements were defective due to manufacturing defects. If that is the case, they will supply you with a replacement unit without charging you any additional amount. They might also refund you. Q: What about the Exchange Policy? A: To select your size from the manufacturer’s website, you will just need to follow the size charts and instructions carefully. But if you find that you selected the wrong size after receiving the package, you should not panic, they will exchange the product – same colour and gender. To get another product, you will have to send the unfitting one within 30 days (unused, complete with the tags and in the original box). They will send you the replacement item at no additional cost. With the Polar Seal jacket, you will never need to carry any extra layers of clothing to keep you warm when practicing outdoors. The product is lightweight, breathable, durable and made of materials that are highly flexible. It is available for both genders and in different sizes. Project Free TV Review: Is the website legit or safe? 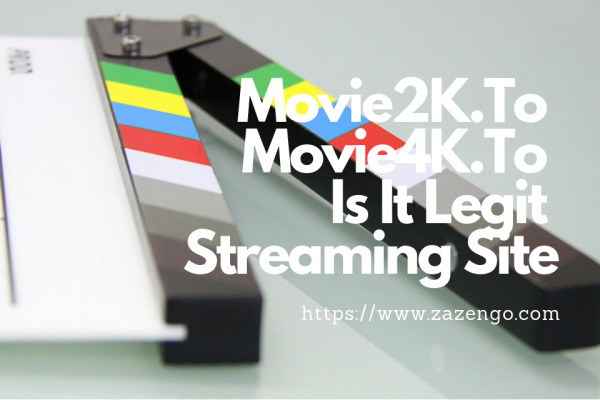 Movie2K.To To Movie4K.To: Is It Legit Streaming Site? 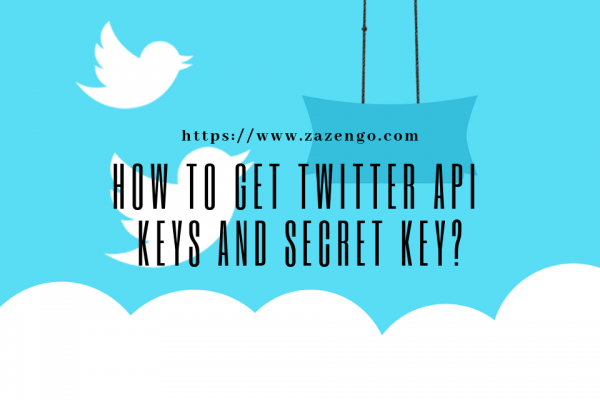 How To Get Twitter API Keys And Secret Key? zazengo.coom is an aspiring blog cover a number of topics including science & information technology, consumer technology as well as tech trends. 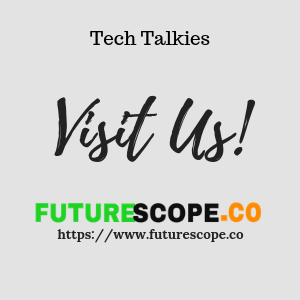 We ensure to broaden our horizons with additional topics in upcoming future. 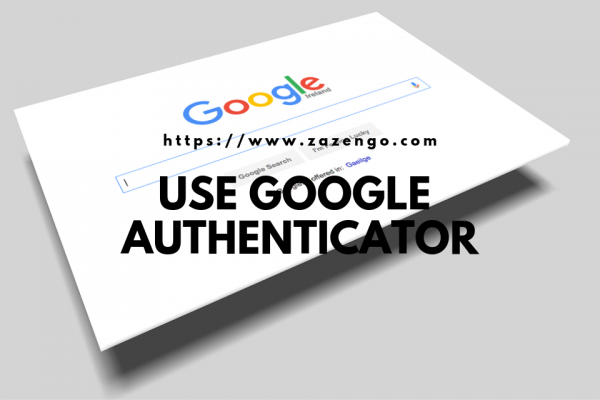 zazengo.com is a participant in the Amazon Services LLC Associates Program, an affiliate advertising program designed to provide a means for sites to earn advertising fees by advertising and linking to Amazon.com, Amazon.co.uk, Amazon.ca. Amazon, the Amazon logo, AmazonSupply, and the AmazonSupply logo are trademarks of Amazon.com, Inc.